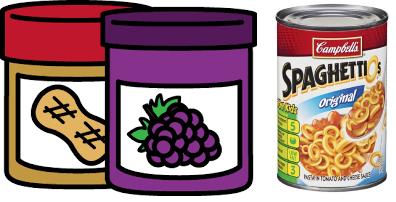 The Kids Need Peanut Butter, Jelly, and Spaghettios! You are here: Home / News / The Kids Need Peanut Butter, Jelly, and Spaghettios! Interfaith Charities is a coalition of churches and business that help the poor in the San Carlos and south Fort Myers area (view their website). They reached out to St. Peter’s and asked for peanut butter, jelly, and spaghettios to help them feed poor children lunch during the week. Supplies are running low this summer. St. Peter’s is committed to helping the poor among us. If each family could bring some of these items to church this Sunday and the next, we will get them to Interfaith Charities and the children who need them.